Over the weekend I was tracking some of the packages I am expecting to arrive this week. Since weekend for me is the time I go online less than my usual, I did not pay much attention to it. Not until yesterday morning when I tracked down all of the packages I was waiting. The good thing about how customers and clients can track their pouches and boxes for delivery, you can get the status to where and to what approximate date it will arrive. Below are the photos of the three packages came in at the same time. All these were delivered to my office address since I am here most of the time. The plastic pouches that made me happy were delivered to me. I love the feeling of opening pouches packages and the like though some were kind of a surprise and some of it was anticipated way before. 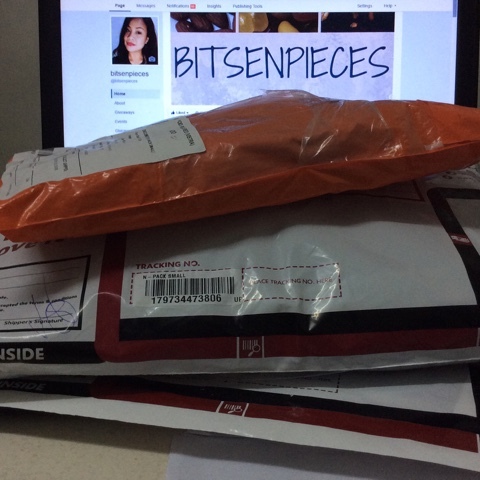 The first pouch contains a part of my online shopping delivery from Lazada during last week's #10BIGAPP sale. 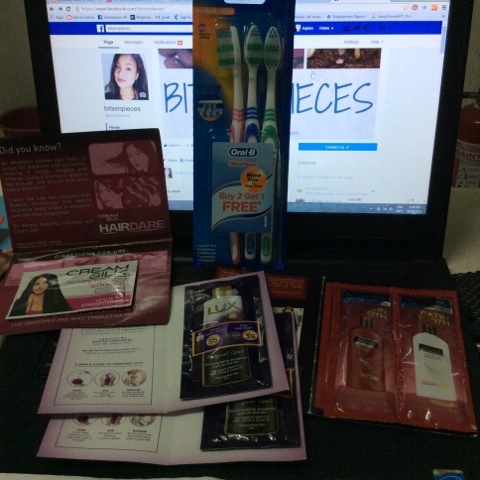 I bought this Oral-B Classic Ultra Clean Wave Trim toothbrush with buy 2 get one free for Php108.00 just to complete and to avail the Php1,000 minimum purchase for a free shipping delivery. And, since I like to stock up toothbrushes at home these items comes very usefully. And check out those shampoo and hair conditioner and body washes sachet samples that come with the item for FREE! As of this writing, the box was delivered, here is my HP DeskJet 1112 printer. This will be used for homework and other school-related stuff the kid's needs. I'll be doing an unboxing blog post for this one...soon. Btw, I got this printer for only Php891.00. A total steal with lots of savings! 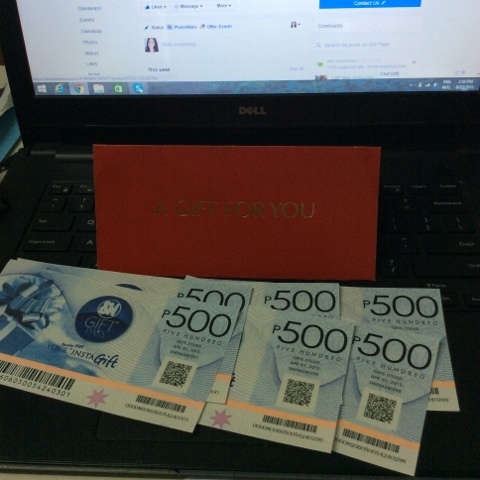 The second pouch is this red envelope containing Php3,000 worth of SM Gift Card. The third is this prize package from blog contest courtesy of acodeza.com. 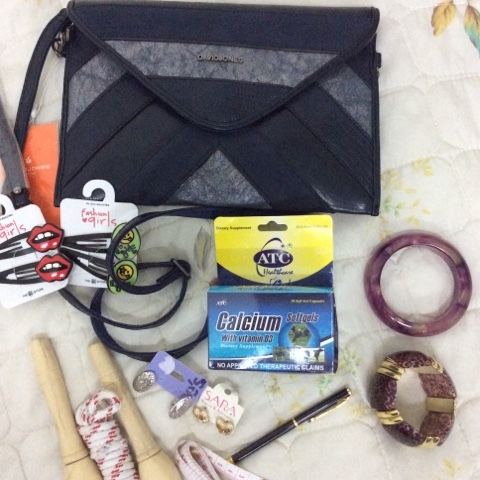 I got all these awesome goodies and most especially the David Jones purse with interchangeable wrist strap. 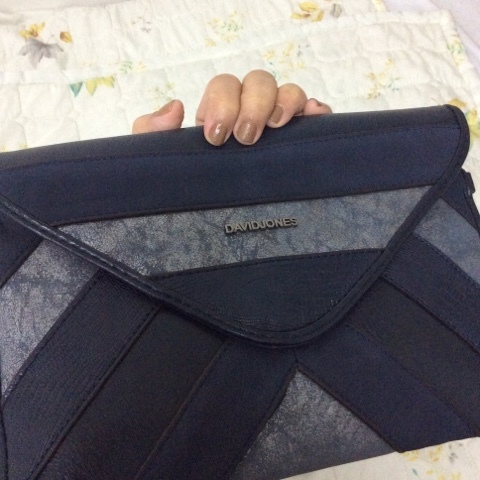 I love the bag because of the chic envelope design and the color can be matched in any colors possible. 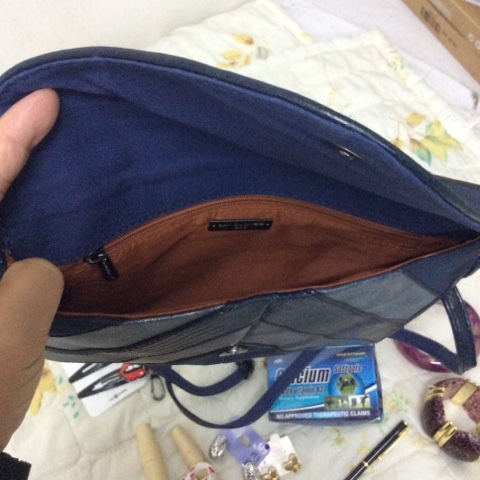 It also has a zipper compartment inside and another one outside, which I can use. Last night when I got home I doubled check the purse again I checked if I can fit the iPad Air inside...and yes it fits perfectly! Thank you EverythingYouFind for sponsoring the prize! I am so thankful for stuff I can get online from gift certificates to items that I and my family can use. What did you get from the mail today? Today is World Photography Day! Photography for me is a means of remembering the past. It reminds me of the things that happened whether they were good or bad. 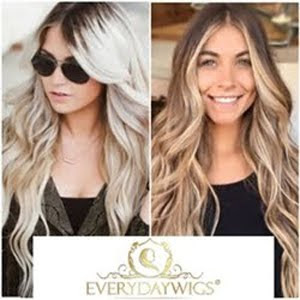 It creates a certain connection to people around the world by means of photographs. Photography can be done in so many ways, from the luxurious high-end cameras to simple camera cell phone. Throughout the year's photography was embraced with people from different age group, which became a diverse kind of creativity. 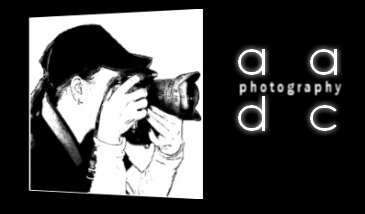 In my own personal experience... photography gave me a sense of artistry and gave me a different kind of perspective in life through photographs. It is a hobby that became a source of income at one point. Although my time is not fully devoted to photography it will remain to instill in my heart and in my mind. As the world celebrates 177th Year of World Photography Day, today August 19... I am taking part of this celebration to give thanks to this amazing invention! I cannot imagine the world without photographs...to share. Sharing some of my snapshots taken by some of the photographer's friends and some were selfie shots using Canon. Let's enjoy life and take photos! I have been sick for almost a week now. Cough and colds strike everyone in the family and I am the last one who is suffering. I am halfway with my antibiotics and and cough medicine and I can see and feel a little better than before. Though I was sick, last weekend never dampened my spirit and I got up and took care of my skin. This was my recent Watson mini beauty haul along with some other stuffs I got. 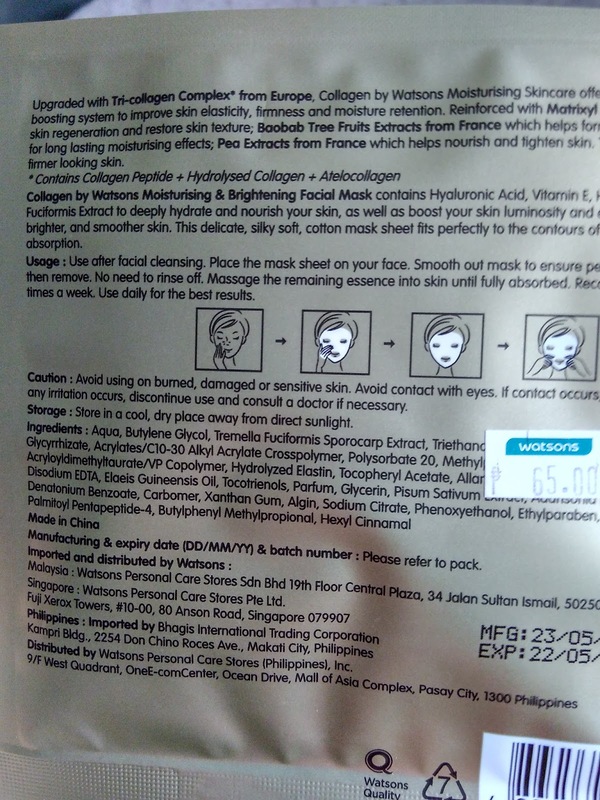 Collagen moisturing and brightening facial mask by Watsons. Each pack is sold at Php65.00 ($1.50) and they offer buy 2 and get 1 pack free. I picked this amongst the other face mask available in the display rack because of the collagen benefits in it. From what I know about collagen, it has a firming effect on skin which restore younger looking skin. Each pack contains an Upgraded Tri-collagen Complex from Europe. It also contains Hyaluronic Acid, Vitamin E, Fuciformis Extract to deeply hydrate and nourish skin. 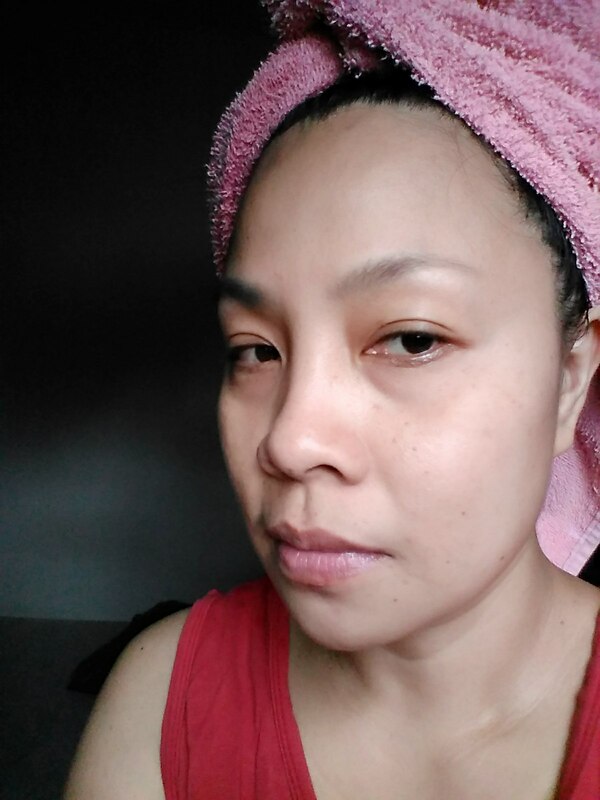 I cleansed my face with my usual facial wash removing any make-up residue and pat dry my face with a clean towel. I applied the mask which is so silky soft and a bit delicate when I removed it from the inside of the package. I applied the mask flattening it evenly in the corners of my face down to the jaw line. The sheet is pre-cut and you wont be missing any area of the face. In the nose area there is a flip sheet which you can cover the whole nose area except for the nostrils. In the eye area you can also flip the eye patch. I did after taking this photo. 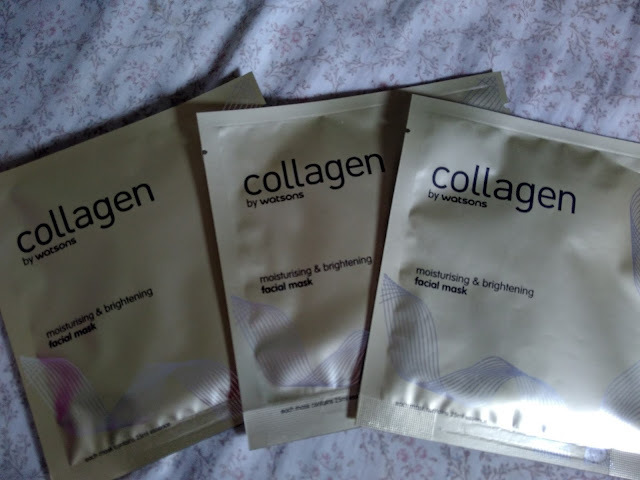 From the collagen pack there are lots of collagen gel left inside the pack which I applied to the mask after laying it on my face and some in my neck as you can noticed. I massage the are of my neck in upward strokes meeting the chin to exercise the neck area. I left the mask for about 30-45 minutes until the mask dried up. I took a short nap while I had the mask on. After removing the mask + a short nap here is what my face skin looks like. No need to rinse. 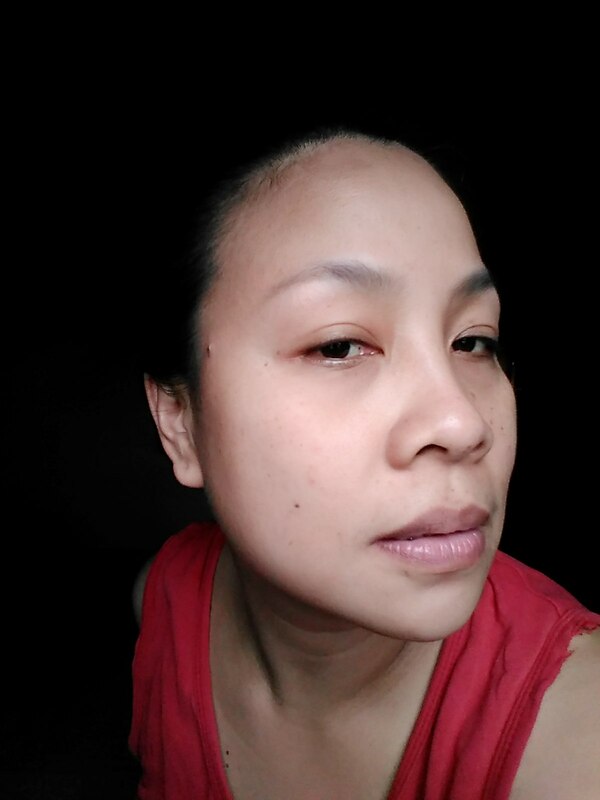 I did not feel any itchiness or dryness while and after the mask application. I feel fresh and my skin feels cool too. I might include this in my weekend face skin regimen which I think is affordable and very easy to use. As stated in the packet this can be use daily. 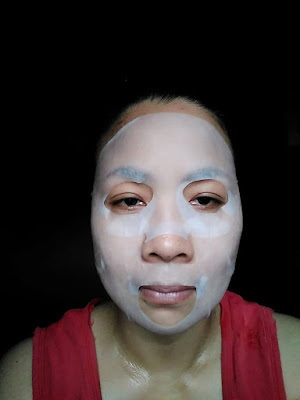 How do you like facial mask? Any experience using this brand of collagen face mask from Watsons? Share any thoughts and experiences in the comments section below and happy to read it! Another fragrance I've discovered during my last visit to the mall. This 25ml spray bottle from Marks & Spencer's Limited Collection Butterfly Eau de Toilette perfume. 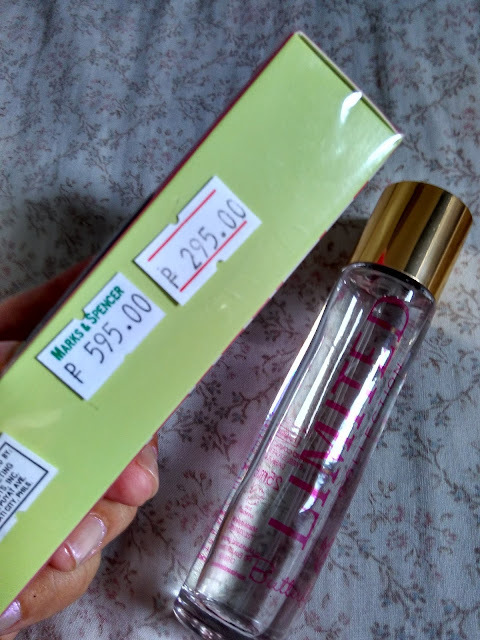 The fragrance was on sale from Php595 to Php295 per 25ml bottle. The handy cylindrical glass bottle with gold spray cap can place anywhere in your purse or your carry on bag. A single spray can be enough to last the scent for hours. I like how elegant and simple the color combination of pink and gold in a transparent glass sprayer. Aside from the best price because it was on sale, the scent is why I got hooked with it. I initially bought a bottle then went back after four days to get another one for stock. I never tried this scent before and I was a bit excited to use it when I purchased a bottle. I sprayed a couple of times using the tester bottle from Marks & Spencer's store the night I bought this and the scent never faded easily. I love the floral, sweet and earthy scent. I need to check M&S website and look for more specifics of this scent. I am currently using it for one week straight and I still love how the smell blends to my skin. "This eau de toilette is fruity, fresh and fun with a sophisticated but not too serious twist. Fresh green notes of fruity apple, watery cucumber and zesty grapefruit drift in to a smooth and delicate magnolia flower, rose and violet scents which are followed by rich base aromas of musk and amber. Fresh and feminine with a playful innocence." If I will do the counting, this is my fifth hotel room accommodation prize from online and physical raffle contests. Over the years of joining raffle through contest online and in-store I have won some and I always call it luck! Last month we dined at this pizza house here in Olongapo City, without the knowledge that they were celebrating their 40th year that day and during that night they have an on-going contest to all the diners. As we were leaving the store with a bit of disappointment because the band we were expecting to perform wasn't there anymore. After we finished our food around 10 pm we were leaving the store, in the front area they have this photo booth corner for photo souvenirs and a guessing game. A customer had the chance to guess how many white beans and the total number beans in the jar. The nearest guess can win prizes. They were almost wrapping up when we reached the area.. but I asked if we can still pitched in a guess. The lady who was assigned was so nice and gave us a chance. So I wrote down my guess... three digit number for the while beans and four digit number for all of the beans. I took a wild guess and wrote down the three combination number and I did not pay attention much on what was the prize for that contest. A week after that I checked on their FB page and viola! My name was in the announcement photo that I won the grand prize! Already claimed the hotel gift certificate and it will expire until January of next year. 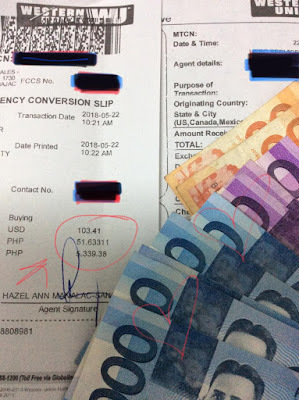 The hotel accommodation per day in the beach hotel costs aroung Php3000/ $67 with free breakfast for two. Any stories you want to share similar to my story? Share it away in the comments section below and I am excited to read it too. Three boxes of 120ml bottles from Wert Philippines the makers of Nutri10 Plus Syrup was sent to me yesterday! As a working Mom, food supplements are my thing. I can assure myself that if ever I missed one food ingredient in their daily meals I can rely on the bottle food supplements like Nutri10 Plus syrup. Nutri10 Plus syrup has Taurine, Lysine, Zinc and CGF. Taurine mostly found in meat, it is also considered as a blood and heart healthy agent. Lysine is an essential amino acid, can also treat cold sores. Zinc is an essential mineral. It helps the immune system fight off bacteria and viruses. Chlorella Growth Factor of CGF is a good source of fat, protein, fiber etc. To be taken once a day or as recommended by Doctor or any health care practitioner. I have several friends on Facebook who attests that Nutri10 Plus syrup really works wonder with their child appetite. It made them enjoy food during meal time without any drama.. haha! 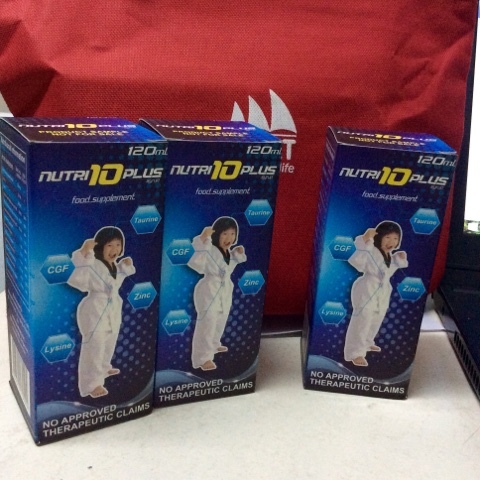 I will share a bottle and give it to my nephew so he can start the goodness of Nutri10 Plus. Any experience or feedback of this food supplement brand Nutri10 Plus? Check on the comment box below and would love to read your story. Thanks for dropping by. As a working Mom of two teenage kids who works more than 40 hours a week can be tiring, but once you've mastered the art of not absorbing the stress from work you are always good to go! My day always starts at 4:30 in the morning everyday specially when kids have school. I am a total hands on with my kids though they are old enough to take care of themselves. I prepare food for their school snack and lunch. The minute I stepped out of the house I turn on my work mode suit and my role as a school nurse is on. Student patients comes in and out of my clinic and seek medical advise and first aid treatment under my care. I need to stay focus and be updated with the current trends in medical technology. To stay focus and mentally alert, I always have this orange box filled with Vitamin C supplement to combat sickness and make my immune system combat those stress and hassle in my daily worklife. Scheduling time offs and vacation is a good way to relax and be relief with the whole week being at work. 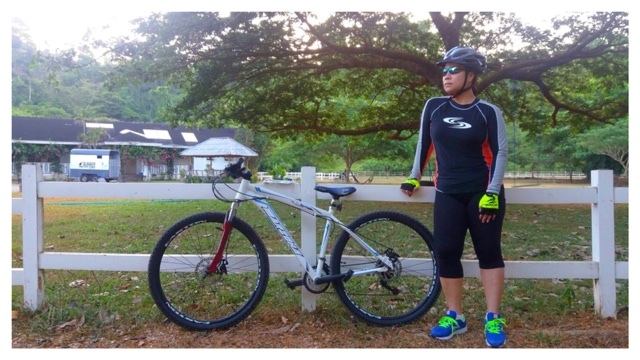 I spare an hour or two riding my mountain bike and enjoy the scenery around Subic Bay and at the same time I sweat big time in doing this. Removing all the toxins out of my body through sweat. 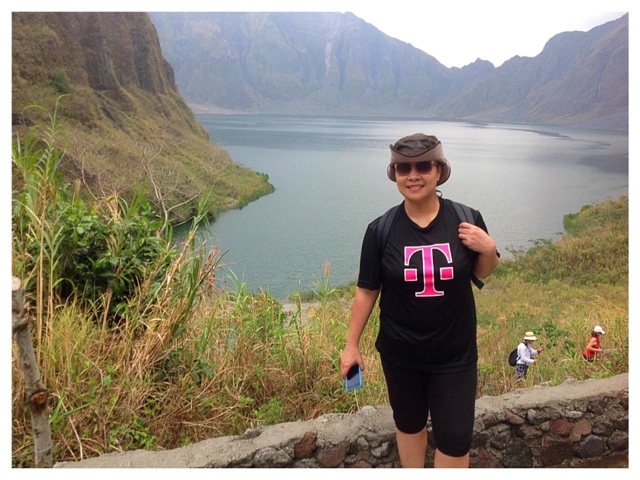 I also enjoy travelling and exploring nature. 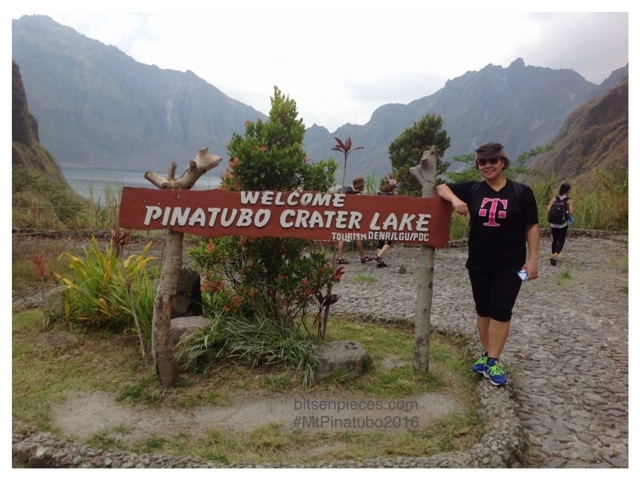 My recent Mount Pinatubo trekking last May of this year indeed test my ability and will power to conquer the peak of this volcano. I made it after seven hours of trek. One of my greatest achievement for this year and made myself proud. 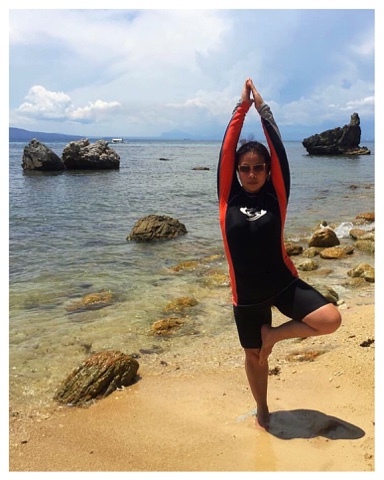 A month after the Pinatubo trip, time to enjoy and relax on island hopping tour in Puerto Galera and submit myself to full concentration while doing a tree pose position. The part of the house where I can enjoy and be tastefully creative is at the kitchen where I can invent and cook dishes that are healthy and kid friendly too. Vegetables high in fiber and vitamins, meat to supplement iron and protein build up our body needs. At the end of the day I can go home to my kids not feeling exhausted and drained. 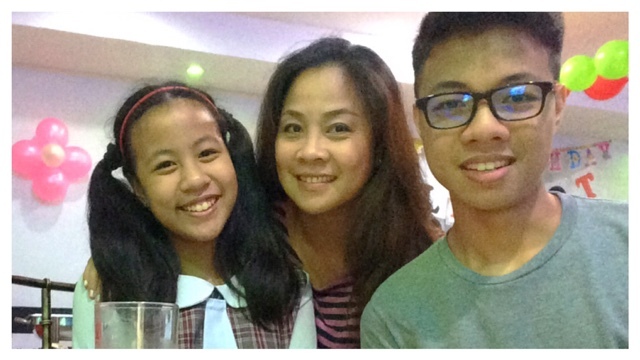 My kids can always see me smiling and attentive when I am with them. As they say a happy Mom is a happy home. Not to mention that I am also a blogger who shares personal experiences to my readers worldwide. 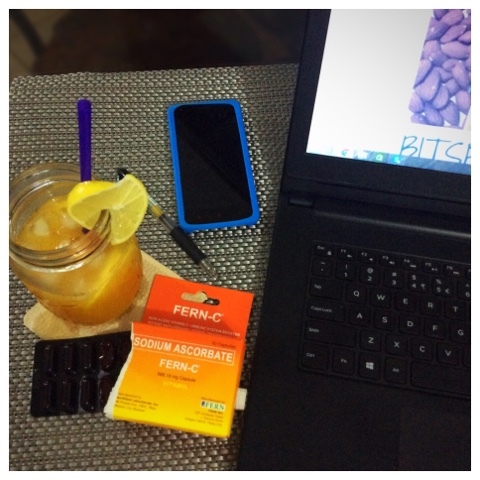 Thanks to FERN-C making my everyday worklife in dealing with deadlines more bearable. 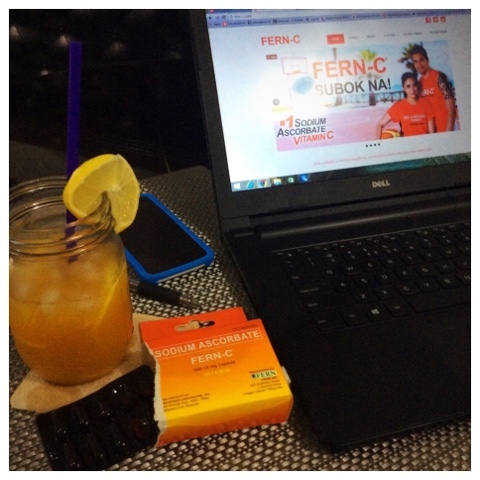 Trully... Worklife ay Easy with FERN-C, Subok na! For more details check out Fern-C social media sites for updates.